Biafrans have died enough in the hands of the Islamic and murderous Nigerians. Before 1960 the death toll of innocent Biafrans killed in the north was in millions, the Hausas and the Fulanis joined forces to kill indigenous Biafrans residing across the northern part of Nigeria with impunity. In 1960, Britain approved and sealed the killing of Biafrans through Nigerian independence and handed power to the core Islamic feudal lords of the desert. Seven years later, the real intention of giving independence to Nigeria was revealed by the British government joining forces with the Nigerian government and other world powers to commit the most infamous genocide ever recorded in the history of mankind. Food blockade for Biafrans was perfectly launched that led to the death of over four million Biafrans. Blockade and distortion of information were amongst the strategies that the British Nigerian government used to ensure that Biafrans got no help from nations who had sympathy for the genocidal onslaught meted on Biafrans. Today, the same scenario that played decades back is playing again. This time Nigerian government created killer machines and blood-sucking beasts that have spread across the north and Biafra land that slaughter kids, infant, pregnant women, the young and old indigenous Biafrans in their houses, roads and farmlands in the form of the Nigerian military, Fulani herdsmen and Boko Haram. Nigerian army, Boko Haram and Fulani herdsmen are on the payroll of the Nigerian government to ensure the indigenous Biafrans are wiped out. 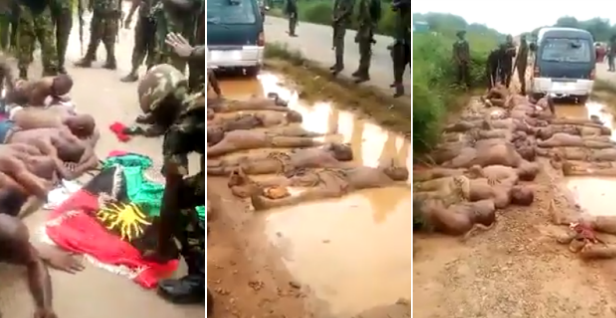 Over the years of this inhumane slaughter of Biafrans, the colonizer of Nigeria, the British government, maintained silence, which is a sign that, she gave the green light for Biafrans to be massacred in their land. All the world powers also kept silent over the blood of innocent Biafrans that have been crying for vengeance. Different freedom fighting groups had emerged and fought for the restoration of Biafra but were silenced by the Nigerian government through the continuous killings of the members of the various groups. They always buckle under the stringent Nigerian policy for freedom fighting groups. The Nigerian government always subdue these freedom fighting groups by detention and killing their members, imprisonment of their heads and blackmail until the rise of Indigenous People of Biafra led by Nnamdi Kanu. The strategic approach of Nnamdi Kanu and IPOB to freedom fighting is second to none. Within a few years of the emergence of the greatest prophet of our time, Biafra has become the topic of discussion all over the world. The actions of IPOB have yielded positive results towards the freedom of Biafrans. Nnamdi Kanu is a man who saw tomorrow with verified instances through his utterances and prophesies that came to pass. The well-educated and brilliant man studied Nigeria for years and has gotten influential people in different countries as allies and sympathizers. The leader of Indigenous people of Biafra instructed IPOB to boycott 2019 Nigerian general elections and also warned every Nigerian to do same and sit-at-home on the day of Nigerian election, if they really wish to see their lives change for good. Over 5 decades Nigerians have been voting, and things got worse rather than better. 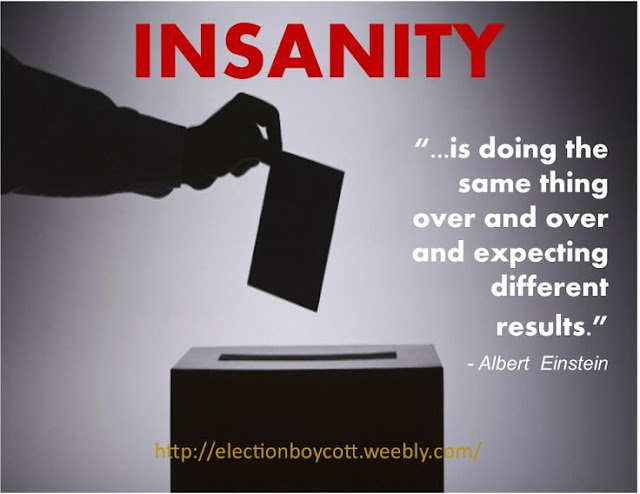 I urge Biafrans to comply with IPOB on the boycott of Nigerian elections and see a faster result.